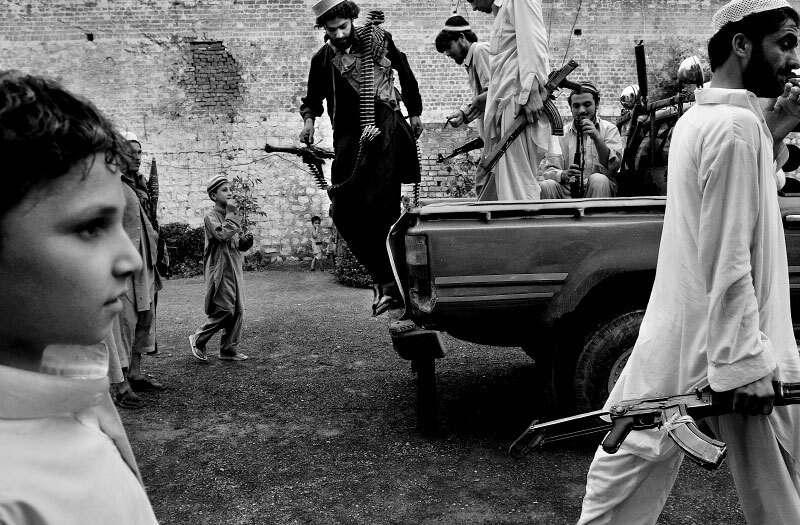 Pakistani Taliban fighters jump out of a truck in Bar Kambar Khel, in the Pakistani tribal area near the border of Afghanistan, July 4, 2008. The area is largely under the control of the group named the "Prevention of Vice and Preservation of Virtue" which commands nearly 20% of the Tribal area. Since the start of the American-led war in Afghanistan in 2001, the Taliban has gradually infiltrated the areas surrounding Peshowar, making the tribal areas inaccessible, and Peshowar more tense.